Pastor's Forum Class - This class is taught by our pastor, Brian Nutt. This class meets in the Oak Room and studies different books of the Bible. Adults Unlimited - This class is taught by its members on a rotating basis. They use the Present Word material and meet in the conference room near the office. 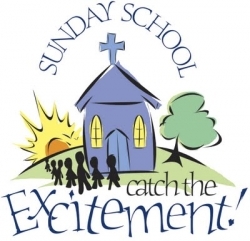 During the 11 a.m. Worship Serv﻿ice there are classes for Preschool (2 years - Kindergarden) and School-Age (1st - 5th grade). Rainbow Ringers (children's bell choir) and Rainbow Singers meet at 10 a.m.